The days are getting shorter, kids are returning to school and college students are flocking back into town — it’s nearly autumn in Boulder. With the changing season comes so many things to look forward to! Changing leaves, some of Boulder’s favorite community events, holiday celebrations and seasonal beers. Here are five of the many reasons to love Boulder in the fall. Boulder says goodbye to summer and hello to fall with the annual Labor Day weekend Boulder Creek Hometown Festival, a celebration that includes live music, carnival rides, as well as arts & crafts exhibitors. Later in September, don’t miss the parade as Boulder shows its pride at Boulder Pridefest. Downtown Boulder will celebrate the season with Boulder Fall Fest, featuring local food, microbrews, live music and of course Firefly’s Fall Handmade Market. Other fun local events include Boulder Psychic Institute’s Psychic Fair, Wild Bear Nature Center’s Enchanted Forest and Estes Park’s Elk Fest! Experiencing Colorado’s breathtaking fall colors is an obligatory seasonal activity for locals. The peak of leaf peeping season begins in late September, and continues through October. Mountain viewing tends to be earlier in the season, while spots along the front range begin changing in Early October. 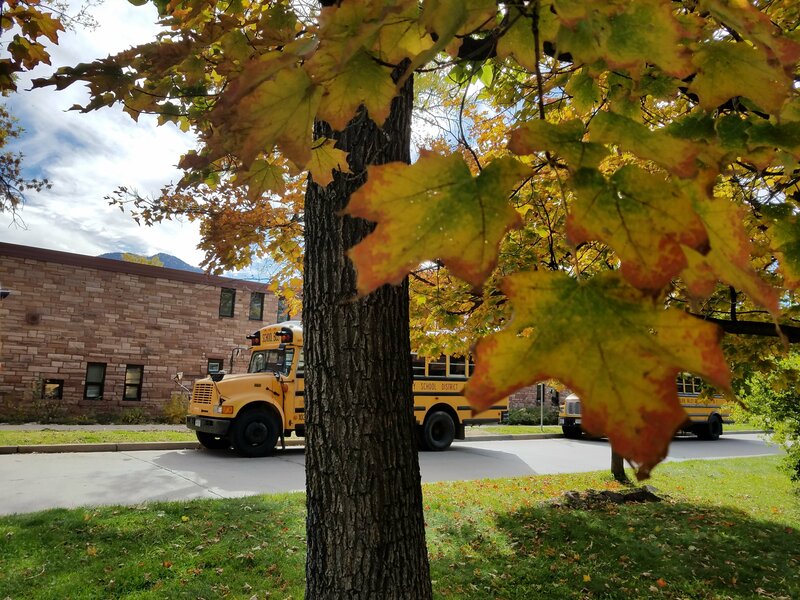 There are a handful of gorgeous fall driving tours to see the changing aspens, including the Peak to Peak Highway, the more secluded Brainard Lake, or locally, taking a walk around Boulder’s historic Mapleton Hill neighborhood. Don’t forget the Autumn Gold Festival in Estes Park, or better yet, take a drive on Trail Ridge Road — yet another place where you will be wowed by the beauty of Colorado’s natural world. The leaves drop and harvest time begins, a favorite time to visit the farmers markets throughout the area, as well as local farm stands! Much anticipated tomatoes, chiles, corn and pumpkins will fill the tables at the Boulder Country Farmer’s Market. Pumpkin patches will open in October, and along with them come all the fun of fall farms — corn mazes, hayrides, petting zoos and spooky haunted houses. Boulder celebrates Halloween with its annual Munchkin Masquerade on Pearl Street for kids, and the not-so-official outlandish late-night Boulder Mall Crawl for adults. Longmont hosts an annual family-oriented Día de los Muertos event, Colorado’s largest Day of the Dead celebration. As creek levels fall and swimming pools close, Boulderites will begin to shift focus of outdoor activities from the creeks and reservoirs to trails and playgrounds. Hiking is a year-round favorite, but it is particularly sweet in the fall, with temperatures dropping to a more comfortable level for hikers and their canine companions. Fall colors are especially beautiful long the Mesa Trail, and around Wonderland Lake. Cyclists will also take advantage of the mild weather on bike paths around town at at Valmont Bike Park. Autumn is also a great time to go rock climbing, trail running, or slacklining. Fall isn’t official until you’ve had a pumpkin spiced-something. Even if pumpkin spice isn’t your thing, seasonal holiday favorites begin to pop up as soon as football season starts. Boulder’s craft beer scene features everything from oktoberfest lagers to pumpkin ales. It’s the perfect time of year for a hot drink, and for coffee lovers, there are plenty of delicious seasonal favorites including The Unseen Bean‘s brown sugar and mocha Sweet Dreams Latte, and The Point Cafe‘s classic Pumpkin Spice Latte. Or spend the afternoon sipping delicious teas at the beautiful Boulder Dushanbe Teahouse. Looking for something delicious to pair with your pumpkin spice coffee? Lucky’s Bakehouse and Creamery offers delicious pecan sticky buns as well as a chocolate caramel tart. My Mom’s Pie in Niwot sells amazing fresh fruit and seasonal pies, including Pumpkin Praline, Strawberry Rhubarb and Blackberry-Raspberry.